As I have mentioned, I have invited members of our team to blog. This one is from Jack Sabye, another one of our Marketing Associates at Escape Velocity Inc, I obviously really like his thoughts. 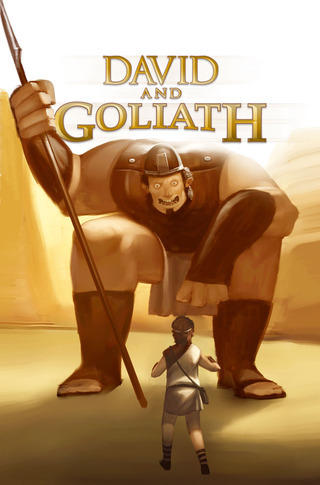 Since the very first narrative, we have heard the story of David & Goliath – small underdog defeats the giant with technology over might. Startups often find themselves in similar competitive situations, going head-to-head with enterprise companies with substantially more resources and huge budgets. In today’s data climate, that doesn’t mean the smaller entity can’t win. Customer insights is a premium tool that more than ever is in abundance for low cost. For startups today [David in this scenario], David has data. Data analytics is providing information to identify target customers based on their social and internet behaviors, searches, smartphone apps, and much more. Data mining is providing an advantage to startups by leveraging the wealth of customer data to identify and focus on narrowing to their target customers. Startups are able to focus marketing and sales efforts on specific customers, meeting defined criteria for targeted campaigns so that every dollar spent has the potential to return. A startup of any size can know and fully understand its high propensity market or their “sweet spot”. Now, David can have the real advantage through creating a nimble and exponentially more impactful go-to-market plan than many other companies that aren’t as forward-thinking. David can be more agile through quickly leveraging the data and directly going to target customers. Whereas Enterprise companies have mass data through large and expensive data analytics tools, their sheer and utter size can work against them in their ability to effectively use their data. This is where startups can use the technology of Escape Velocity Inc to create their strategy, and differentiate themselves in targeting customers. The tools deep customer analytics provide and incomparable to those of an excel spreadsheet with emails. Goliath provides tools from Microsoft and IBM, but that is too broad and hardly scratches the surface for many small companies. The data doesn’t go deep. David will win by taking that quicker shot the larger Goliath won’t be able to take. With the emergence of new technologies from new companies, it allows for startups to find their sweet spot that allows for the most effective impact. Data analytics is David’s stone and slingshot and we are Escape Velocity Inc are working with the next generation of David’s.